With the sudden spell of good weather in the UK, most of the population are wondering what’s going on and thinking about how they can keep cool. The time is right to get in the pool, tone up, and cool down. Hot weather in the UK can be quite unusual and it’s important to keep check of your body because of the heat, too much sun can cause health problems as well as burning your skin and its vital to keep hydrated at all times. In addition to this many people are trying to get fit or tone up for their summer holidays and yet with it being so hot, going for a run is not the best option; a swimming pool, however...no there's an idea. For many people swimming can be associated with verruca foot baths and that squelching sound of a swimming hat being pulled off after swimming lessons in primary school. As we get older we tend to get less active or focus more on one particular sport, and for many people swimming is not the focus, but maybe it should be. 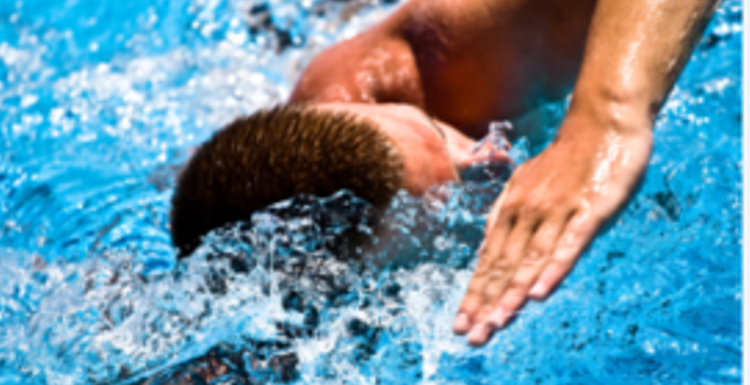 What can swimming do for you and your body? Swimming is a brilliant all round body workout. The movement of your body as you glide through the water causes muscles you may not even know you hard to work, and builds up your stamina. The low-impact nature of swimming also allows less abled people to enjoy the exercise, and get a decent workout without causing damage to their body. Both abled and disabled individuals can access swimming pools and it is often recommended to patients suffering from complaints such as osteoarthritis and chronic back pain. Hydrotherapy has become a well-practised treatment for health issues which may previously have to be treated through surgery and there are immense benefits for mental health as well. The cardio work out that swimming offers is second to none and various studies in the past have found that the average person can raise their lung capacity significantly through swimming. With many gyms and leisure centres offering additional classes at a small supplementary cost there is no reason why your swimming routine has to be kept to laps or widths of the pool. You can take part in aqua aerobics classes which will have you pumping out moves similar to those found in normal gym classes including lifting dumbbells and working with kick boards. Some gyms and centres also offer Aqua Zumba and aqua jogging; just like your average Zumba and jogging classes but underwater and if you are trying to stay active during pregnancy it is highly likely that you will find an aqua natal class close by. Some people may question why you would want to do these activities under the water but the truth is the water offers additional benefits to those you get from just doing a normal workout. Aqua aerobics, for example, uses a greater range of motion as the gravitational pull is lower in water, Aqua jogging can be more beneficial to anyone wanting to exercise who has minor heart conditions as the pressure of the water can help your heart rate to stay low, even with the same amount of exercise you would get out of the water. It’s not just swimming lengths of the pool which help your body and burns calories, any amount of time spent in the water will help, even if you are swimming shorter distances or just causally swimming with friends. Swimming does not have to be a solitary event and it’s great to go with friends and family. Family days out to the pool will help keep the kids occupied and you healthy. Teaching your little ones to swim or competing against your teenager as to how many laps of the pool you can do is always fun and will lessen the chance of you finding the activity a chore, as long as you can handle losing or being kicked when your small child decides to splash around! Just being in the water and moving around can help tone muscles and has been found to increase cardiac output. The latest UK Swimming Industry report by the Leisure Database Company has shown that it’s never too much trouble to find a pool in your area with 84% of Britons currently living within two miles of a swimming pool. Whilst the main one in your area may have a strict timetable to adhere too, you should be able to find a decent alternative or find at least one time slot per week. Councils are constantly updating and adding to their stock of leisure facilities so chances are you will find your local pool a pleasure to visit.